With many friends, family members and neighbours helping out, Sean & Brian on behalf of the Farrell family, would like to thank everyone who collected on the day, to those who contributed so generously and to everyone who supported them in any way. 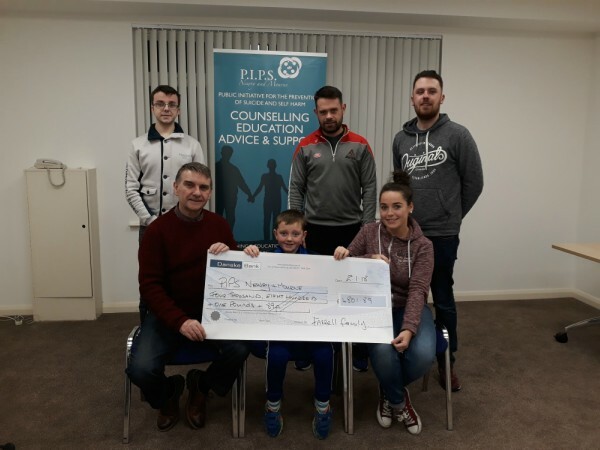 PIPS Hope & Support would also like to express our grateful thanks and appreciation to the Farrell family and everyone involved. Cheque amount in photo differs slightly to press release due to additional money donated after the photoshoot.